The first wrongful death lawsuit against Sara Lee Corp., which produced contaminated meat products last year, was filed Tuesday in Cook County Circuit Court. Attorney Kenneth Moll filed the lawsuit against the Chicago-based company on behalf of a Tennessee man, whose 74-year-old wife died last year of meningitis. 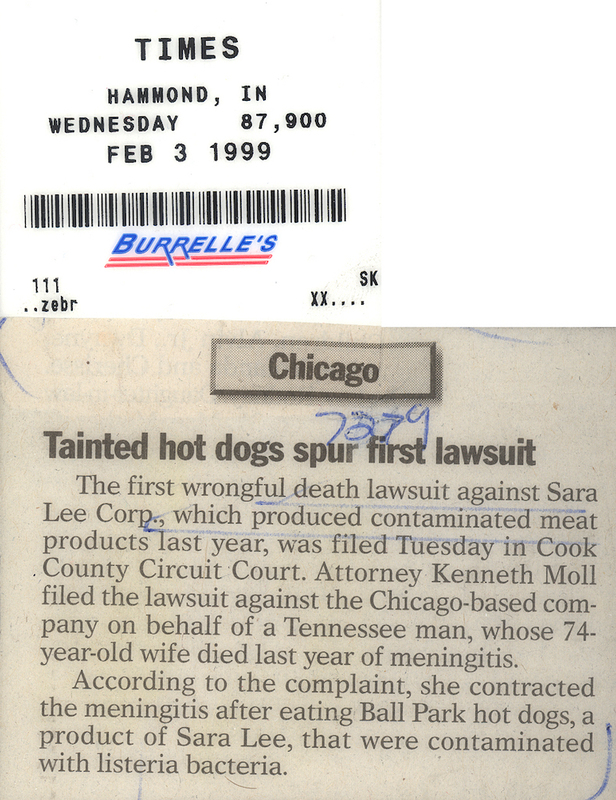 According to the complaint, she contracted the meningitis after eating Ball Park hot dogs, a product of Sara Lee, that were contaminated with listeria bacteria.